Sara Sager is an associate in the firm's Commercial Finance Group. 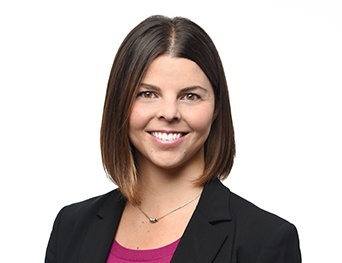 She represents a variety of financial institutions in connection with the structuring, documentation, negotiation and closing of commercial lending transactions. Her experience includes a wide range of both asset-based and cash-flow lending transactions, including senior, second lien and mezzanine financings; split-lien transactions; acquisition financings; working capital financings; and workouts and restructurings. In addition, she regularly works on cross-border lending transactions, primarily focusing on North America and Europe. Ms. Sager is admitted to practice law in Illinois. She received her law degree, With High Distinction, from the University of Iowa College of Law in 2005, where she was admitted to the Order of the Coif. While attending law school, Ms. Sager served as an editor on the Journal of Corporation Law. She received her B.A. in Psychology from the University of Iowa in 2002.